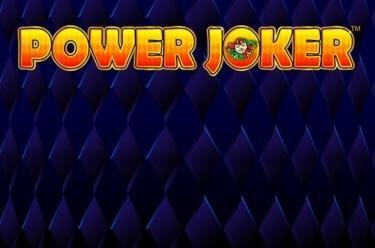 Play Power Joker™ online for free now! More power! More Twists! Let the jolly Joker roll over the reels and bag heaps of Twists! Our colourful fruit machine slot game offers you several ways to win big: The cheeky Joker delivers maximum line winnings and countless mystery prizes! Furthermore, you can also extend your Twist winnings with the Supermeter mode and attractive jackpots! Your aim is to land 3 identical symbols on 5 win lines. Every winning combination begins on the first reel on the left and runs along the win line to the right. To win, the symbols must land next to each other on an active win line without any other symbols between them. Power Joker™ has a Basic mode and a Supermeter mode. In Basic mode, you play on the lower set of reels. All winnings below 2,000 coins, which you land with a coin bet of '10' (5 active win lines) can be bet again in the Supermeter mode. In Supermeter mode you play on the upper set of reels on 5 win lines - the stakes are higher but also the winnings. Power Joker™ features a common progressive Mystery Jackpot for all bets and currencies. You have the chance of hitting the Jackpot in each game. With a maximum bet (= maximum coin bet and value) you are due to receive 100% of the Jackpot. Lesser bets attract proportionally smaller Jackpot payouts. 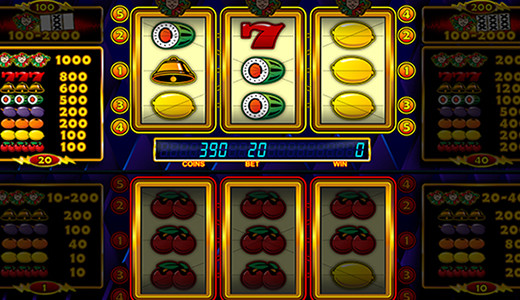 The Jackpot display in-game shows you the Jackpot payout based on your current bet.